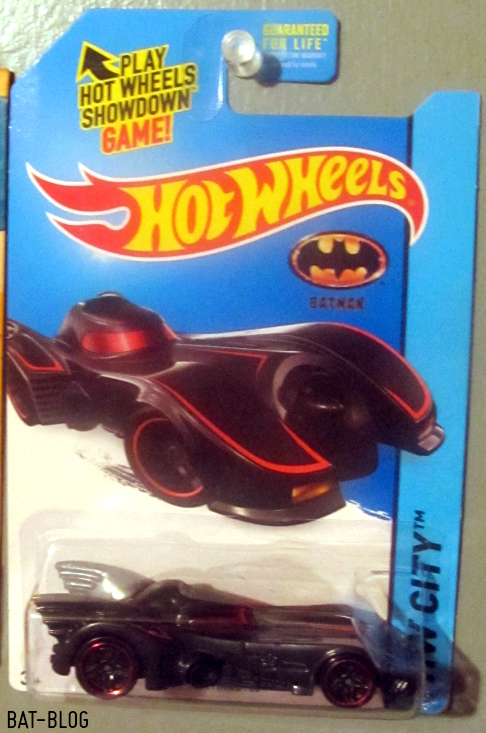 Just a super-quick post to share the news that I spotted this unusual HOT WHEELS Batman Batmobile Car the other night at Walmart. I had not seen this one yet so it was kind of a surprise. Plus, they had Hot Wheels on sale for 85 cents, ha! It's sort of like the car from the 1989 BATMAN Movie, but it has red-strip accents like the 1966 version, kinda weird huh? Yes, I grabbed this one, ha!